CLAYTON, NC – It’s been a short history filled with new highs each year, but this past weekend was something special. For the first time in club history, the Clayton Rugby Football Club have made it to the playoffs. A win by Fort Bragg over Hilton Head coupled with the Bootlegger’s emphatic win over Camp Lejeune pushed Clayton into the playoffs. 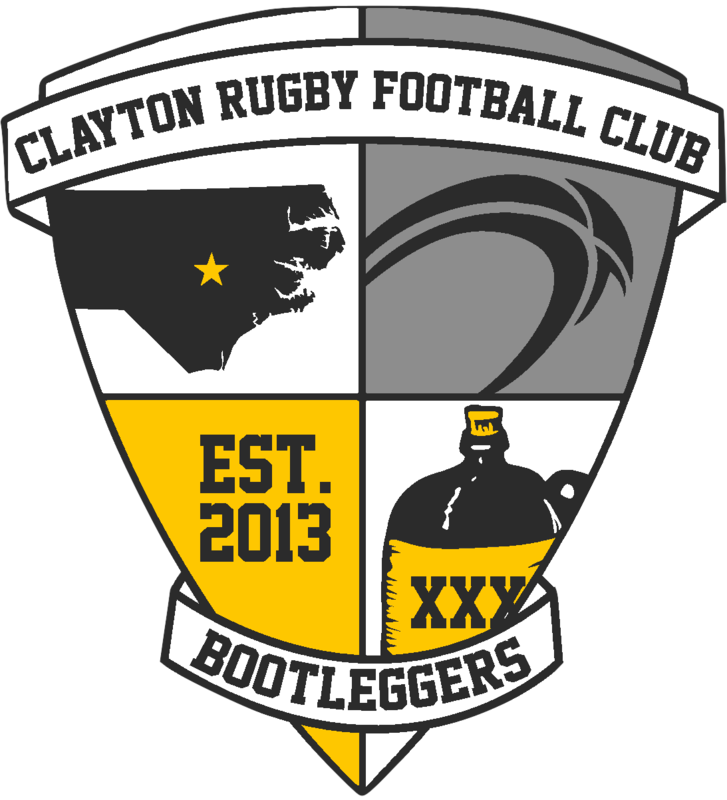 The Bootleggers now travel to face Asheville on April 14th in the Carolinas Geographic Union D3 Semifinals. Founded in the Fall of 2013, it was almost exactly four years ago when the Bootleggers conducted their first practice session with just seven men in attendance. The club’s slow and steady progress led to them joining Division 4 in 2015. The following year the club moved up to Division 3 and now in their second season in D3 have advanced to the playoffs. The squad finished in 2nd place in the Carolinas D3 Eastern Division this season with a 5-3 conference record. To reach the playoffs, the Bootleggers needed a victory over Camp Lejeune and the men didn’t disappoint. Knowing that they needed a bonus point victory and to score extra points in the event they ended up needing a tiebreaker with Hilton Head. The Bootleggers did exactly that in setting a club record with 98 points scored in the match. The home side ran in 16 tries on the way to the lopsided victory. Flyhalf Brian Anderson led the way with three tries as he guided the Bootlegger attack. Flanker Stuart McKenzie added three tries to the total as well. Jonathan Sanyer, Gareth Davies, and Deven Howard each added two tries apiece while Luke Haskins, Jeff Cosgrove, Simon Potter, and Ted Hardy each added solo tries to the effort. After a shaky start that saw Camp Lejeune with a 19-12 lead twenty minutes into the match, the Bootleggers settled into their game plan and used a structured attack to build the phases and retain possession. Five tries over the next twenty minutes gave the Bootleggers a 48-19 lead going into halftime. 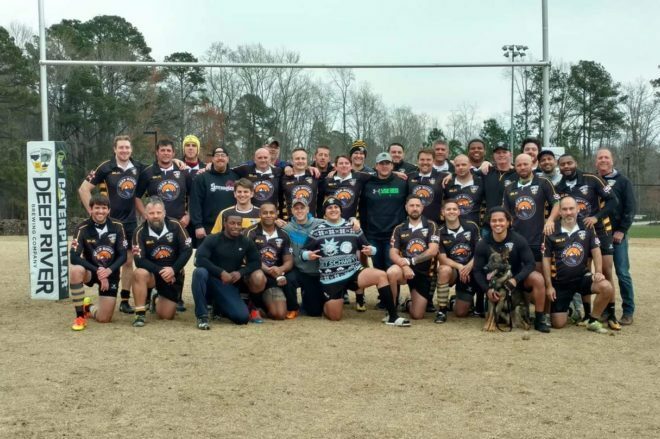 The second half was more of the same as the home side pushed out to a 91-26 lead before Camp Lejeune answered back with two converted tries in the final ten minutes. With time expired, Anderson capped off his hat trick to close out the match. Ed Dixon added nine conversions on the afternoon for the Bootleggers as they strolled to a 98-40 victory. In the second match of the day, the Bootleggers’ 2nd XV took on a combined Wake Tech/New Bern/Lejeune side. After a close opening twenty minutes, the Motley side went on a run scoring 27 unanswered points as they carried a 32-5 lead into the final quarter of the match. The Bootleggers didn’t give up as they added two late tries, but it was too little too late for the 2nds as they fell to the Motleys 37-19. Anthony Crumity scored two tries for the Bootleggers with Kai Saltana scoring his first career try. The club’s eyes now turn to the playoffs. With three weeks to heal up injured players and prepare, the match against Asheville is poised to be a great one.